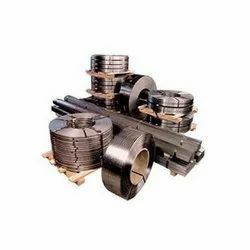 We are engaged in offering a wide range of Alloy Steel Coil that is procured from reliable vendors who maker use of quality machines to manufacture the product. The coils are available in various different grades and dimensions, which can be custom made as per the requirements of the clients. We have in store qualitative Carbon Steel Coil for our valued clients. designed to perfection, these presented coils are in compliance with the defined parameters of the industry, signifying their high standards. Furthermore, to meet divergent demands of the clients, we have made these coils available in different technical specifications. 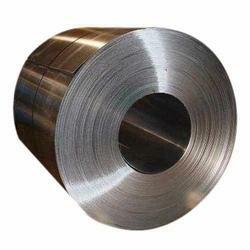 We are engaged in offering our clients with a qualitative range of Hot Rolled Stainless Steel Coils. These are manufactured using premium grades of steel and in accordance with the required quality standards of the industry. Our range is made available to the clients in varied dimensions, width, length, and thickness. We also customize these Hot Rolled Stainless Steel Coils to meet the specific requirements of our esteemed clients. Hot Rolled Stainless Steel Coils are used in critical engineering applications and several automotive applications. 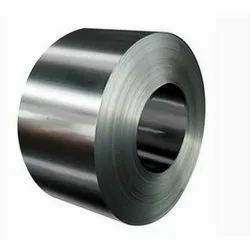 Type 316L is the low carbon version of 316 Industrial Steel Coil. 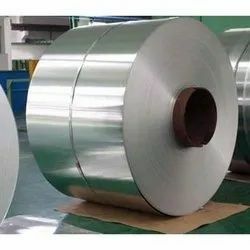 With the addition of molybdenum, the steel is popular for use in severe corrosion environments due to the materials immunity from boundary carbide precipitation (sensitization). The material is widely used in heavy gauge welded components and weld annealing is only required where the material is for use in high stress environments. 316L has an extensive variety of uses especially in marine applications due to the materials high corrosion resistance. 316 & 316 L steel plate and pipes have common properties and are often stocked with Dual Certification, where it is determined that both have properties and composition which comply with both steel types. Type 316 H is excluded from this scenario by virtue of the fact that unlike 316 & 316 L, 316 H is engineered to work in elevated working temperatures. 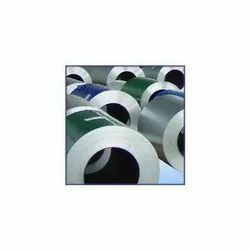 We are engaged in designing and developing Mild Steel Coil. Complying with the illustrated quality parameters of the industry, these offered products widely used across engineering, chemical, paper & construction industries along with the petrochemical sector. To cater to the divergent demands of the clients, we offer these coils in different sizes, dimensions and specifications. 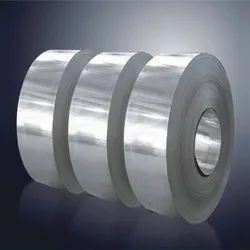 We are engaged in supplying a precision engineered range of Stainless Steel Coil that is known for its dimensional accuracy, resistance against corrosion and high tensile strength. The range is available in different specifications and finishes such as mirror & mat finish. These can be customized as per the requirements of the clients. Further, we ensure that the cost effective range is timely delivered to the clients. Our deep commitment towards quality enables us to provide our valued clients with outstanding Stainless Steel Coil. Fabricated using high-grade basic material, these coils comply with the defined parameters of the industry. These offered coils are widely appreciated for their durability, resistance against corrosion and sturdy construction. Keeping in mind divergent, we offer these coils in different sizes and specifications. 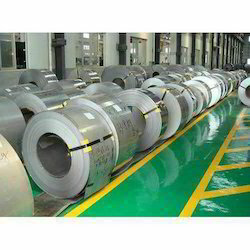 Alloy 310/310S (UNS S31000/S31008) authenticate Steel Coil is typically used for elevated temperature applications. Its high chromium and nickel content provides comparable corrosion resistance, superior resistance to oxidation, and the retention of a larger fraction of room temperature strength than the common authenticate Alloy 304. 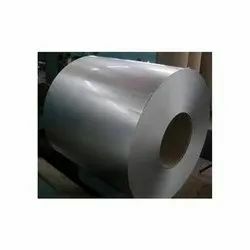 Stainless Steel 310/310S is an authenticate heat resisting alloy with excellent resistance to oxidation under mildly cyclic conditions to 2100º F. Its high chromium and nickel contents provide comparable corrosion resistance, superior resistance to oxidation and the retention of a larger fraction of room temperature strength. We are engaged in offering our esteemed clients with a qualitative range of Hot Rolled Coil that complies with highest industry standards. These are offered available in various specifications to meet growing demands and varying needs of the Varied industries. Our range is manufactured using highest quality steel and is superior in performance as well as available in the custom built thickness and width. We are engaged in offering the best Inconel Flanges to our valued clients. Products that we provide are fabricated by making use of requisite basic material in compliance with the listed parameters of the industry. The offered tubes are available with us in different sizes and specifications addressing divergent demands of the clients. 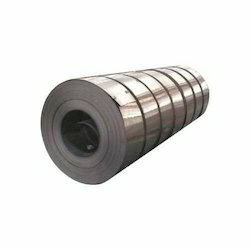 Looking for Steel Coil ?